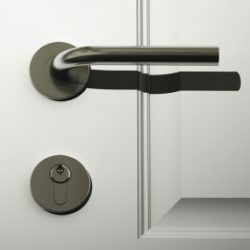 When you need a lock replacement in Phoenix, you will not find a more professional, experienced, and fast option than Metro Lock & Safe Inc. We’ve been performing lock replacements for more than 30 years. In that time we’ve helped thousands of people in the Phoenix area with emergency and non-emergency related lock replacement situations. Our 20 minute response time means we’ll have someone to you within minutes to diagnose and begin replacement of you lock. Though a detailed assessment of your lock is required, there are some situations where you are best served by a lock replacement. Your keys are stolen or lost –There are several options when it comes to lost or stolen keys. Re-keying is sometimes an option, but depending on the circumstances you may want to have us replace your lock altogether. People who lose their keys on a regular basis are often times helped by the installation of an electronic lock on their front and back doors. These offer all the security benefits standard locks do with the addition of key codes, fingerprint readers, key cards or fob devices. We can perform a Phoenix lock replacement using any one of these alternatives. Break-ins – You’ll absolutely want a lock replacement after a robbery or break-in. The integrity of the lock itself can be compromised by the forced entry tactics often employed by robbers. If left alone, a mechanical failure can occur within the locking mechanism, leaving you stranded outside your own home. A compromised lock also puts you at a higher risk of a second break-in, and should be replaced as soon as possible. Door keys may also have been taken by a thief, and our technicians will go over all possibilities with you regarding replacement of door locks that may not have been damaged, but could be compromised. Age and Wear – Over time your locks can become rusty and eventually wear out. These should not be ignored. Rusty, worn, or old locks are a serious security threat. These are much easier for a skilled robber to open using lock picks, and more difficult to open with your own key. When your lock becomes difficult to open, particularly during cold weather, it is best to have our technicians have a look. We can help you determine if a replacement or servicing is necessary before you get locked out. Excessive signs of wear like tarnish, and rust can also indicate the need for a lock replacement. We are there when you need us. Our skilled technicians want to make sure you get the best service, top of the line products, and confidence in your home or business security hardware. Our free onsite quotes are just that, and our no pressure tactics never leave you feeling like the final decision isn’t in your hands. With the most knowledgeable technicians comes the best service, and once we’ve assessed the situation and given you all the information, how we proceed is up to you. 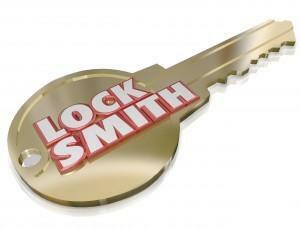 Contact or call (602) 663-9828 today for your lock replacement in Phoenix.